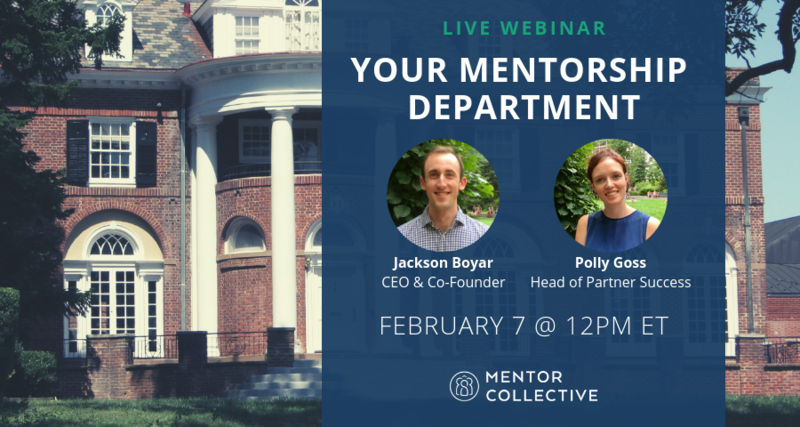 Our Head of Partner Success, Polly Goss, and our CEO, Jackson Boyar sat down on February 7 to find out how our team has delivered some of the most inventive mentorship programs in the country. After launching over 100, scaled mentorship programs, serving FYE, online, graduate, adult and international students, we are confident in what makes a large-scale, effective mentorship program. Learn about our comprehensive services, including program design and management, mentor recruitment and training, the latest in mentorship research, student engagement, assessment and more.